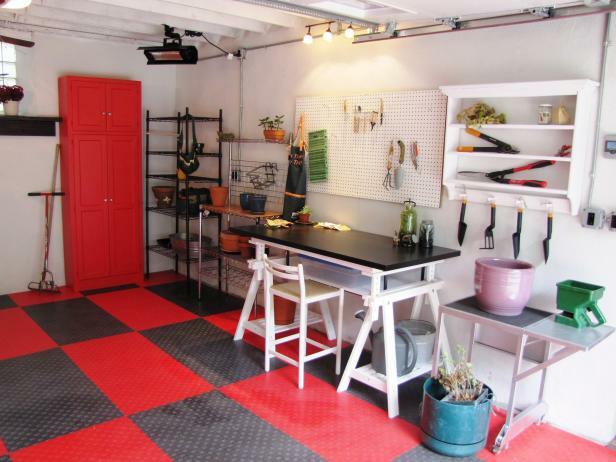 A black and red checked, rubber floor is a stylish and practical option in this modern garage and tool shed. A bright red cabinet and solid black table bring the bold color scheme together. Although rubber flooring is widely used in commercial settings such as cafeterias, hospitals and gym weight rooms, it’s gaining traction as a viable flooring for homes, too. One big reason is style — rubber flooring is available in a huge array of colors and textures that make it an appealing designer’s choice. A skilled installer can even cut rubber into patterns and mosaics that make eye-catching, one-of-a-kind floors. Plus, it’s sound-absorbent, impervious to moisture and it’s cushiony comfortable underfoot. It comes in sheets for nearly seamless installations and DIY-friendly tiles that fit together with interlocking edges. Rubber flooring can be glued down, but many products are so heavy that glue is unnecessary — the flooring simply lays flat and stays put on its own. It also has natural antimicrobial properties, meaning that it acts to kill mold and microorganisms that might try to grow on or under the material. You’ll find rubber flooring in thicknesses that range from 1/4 inch to 1/2 inch thick. Thicker products cost more but provide superior cushioning and comfort underfoot. Many types are made with post-consumer waste and recycled tires that give rubber flooring an ecofriendly reputation. You’ll pay $2 to $12 per square foot for rubber flooring, depending on thickness and quality of the material. 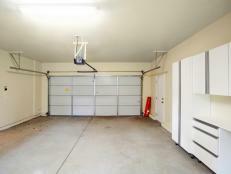 Pro installation adds $2 to $4 per square foot. Exercise rooms benefit from having flooring that absorbs noise and can stand up to jumping and an occasional dropped weight. 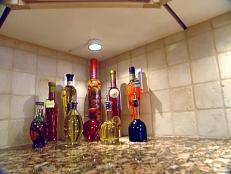 In the kitchen, rubber flooring shrugs off most spills and drops. Plus, if you’re a homeowner chef who tends to spend long hours whipping up something special, rubber kitchen flooring helps fight fatigue and tired leg muscles. However, rubber flooring is susceptible to staining from grease and fat, and any oily spills should be wiped up immediately and cleaned with warm water and a mild detergent. 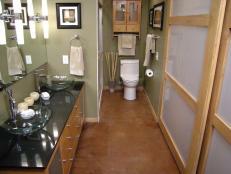 Bathrooms are good candidates for water-resistant sheet rubber flooring. Sheet flooring has few seams where water might penetrate to the subfloor below — a pro installer will chemically weld together the seams of sheet rubber flooring. For bathrooms, be sure to choose rubber flooring with a slip-resistant surface texture. 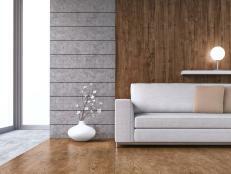 Bedrooms with rubber flooring are soft underfoot and won’t get cold like ceramic tile. Rubber flooring helps muffle the sound of footfalls in upper-level bedrooms. 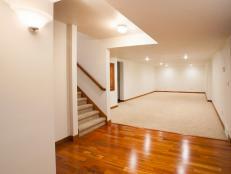 Below-grade basements tend to be cool and damp, but those conditions don’t affect rubber flooring. You can put rubber flooring directly on concrete slabs, too. If moisture is a concern in your basement, avoid glue-down applications for you rubber flooring—over time, excess moisture can cause adhesives to deteriorate. 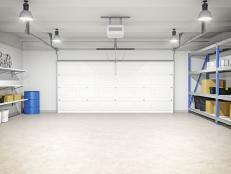 Garages are good candidates for rubber floors, especially if you have a workshop and want fatigue-fighting comfort underfoot. Rubber flooring stands up to heavy equipment, vehicles, and foot traffic. Rubber flooring is easy to clean with mild soap and water. 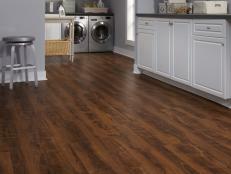 To keep flooring in top condition, it should be polished with a water-soluble wax every couple years.